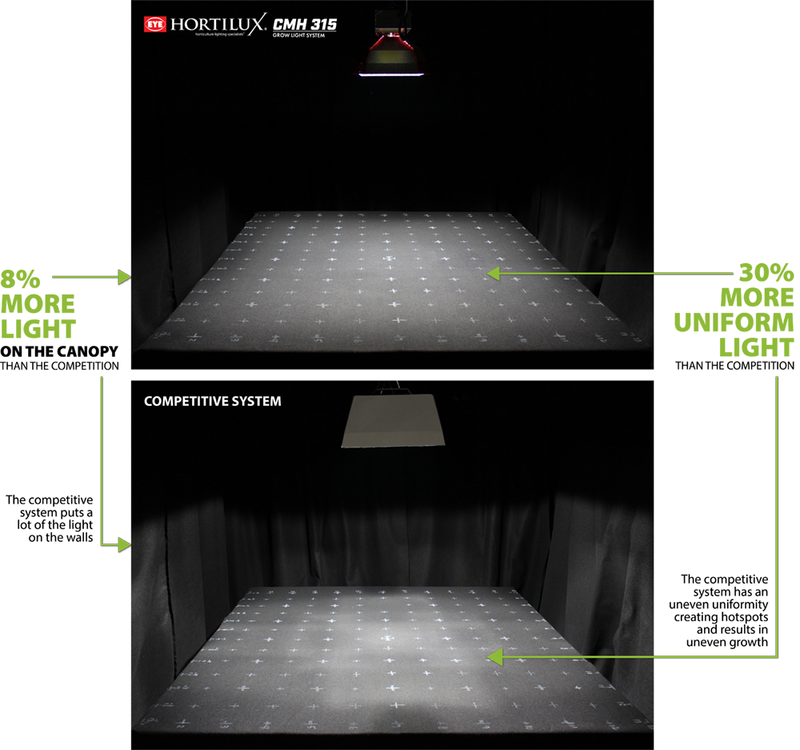 The EYE HORTILUX CMH 315 Grow Light System provides a short, compact reflector design that focuses 8% more light on the canopy and 30% more light uniformity than the competition. 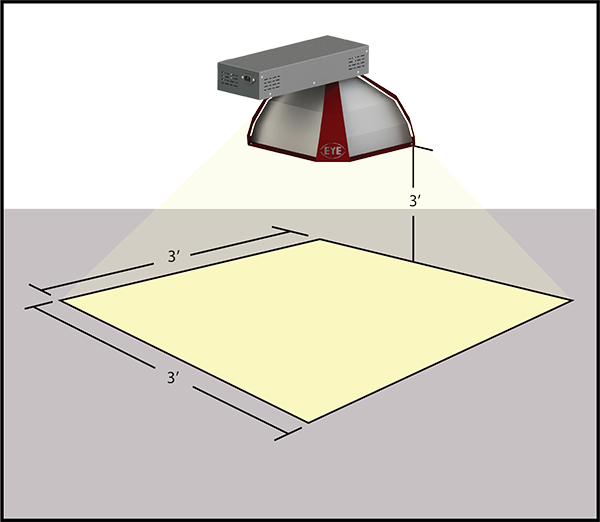 Height Above Canopy 3 ft.
*Optimal setup and performance measurements based on CMH 315 Watt System with an EYE HORTILUX 315 CMH lamp. Actual performance may vary. 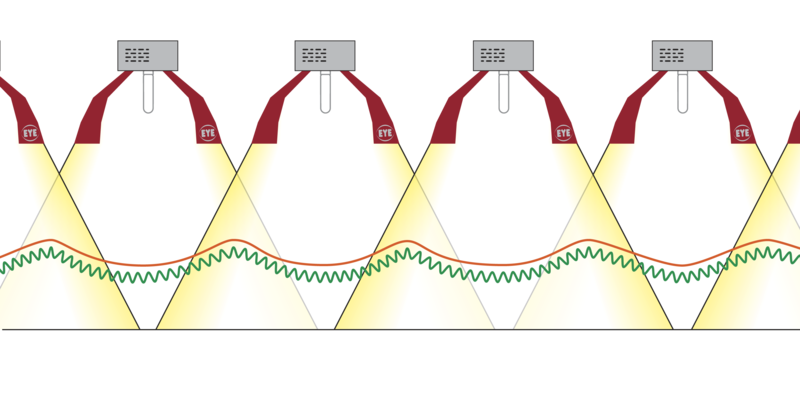 **The distance between fixtures should be measured from the center of the lamp. 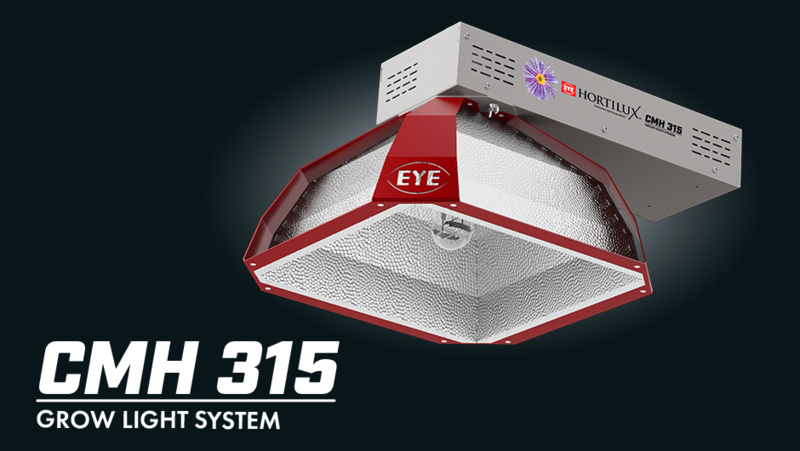 The EYE HORTILUX CMH 315 Grow Light System includes a reflector that is easy to replace. 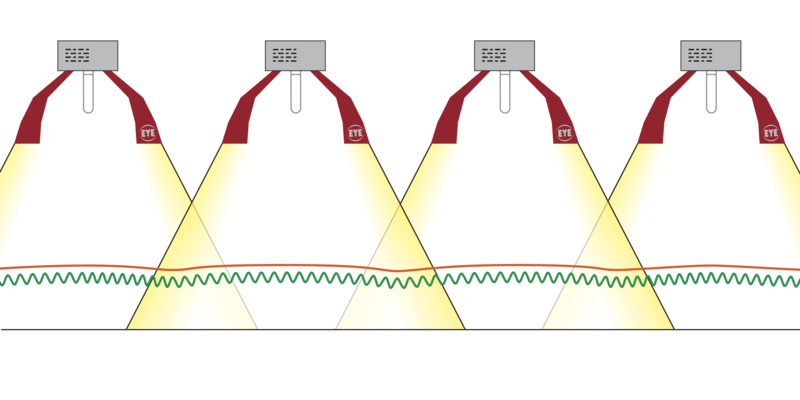 After several grow cycles, system reflectors get dirty and sometimes scratched from cleaning. Having a reflector replacement schedule helps maintain consistent plant quality and high yields. 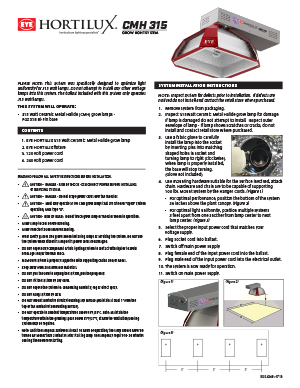 Replacing a reflector in the CMH 315 does not require purchasing an entirely new system. 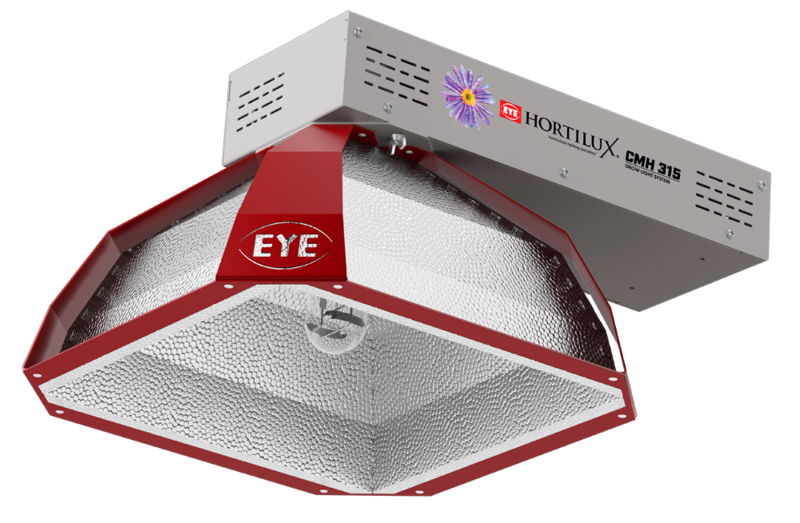 The EYE HORTILUX CMH 315 Grow Light System will only accept CMH lamps with a PZGX18 (bi-pin) base. 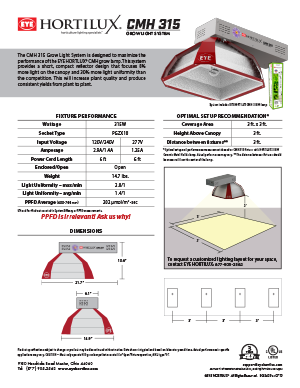 This system will not accept Mogul Base lamps or CMH lamps that are not rated for open fixture use. 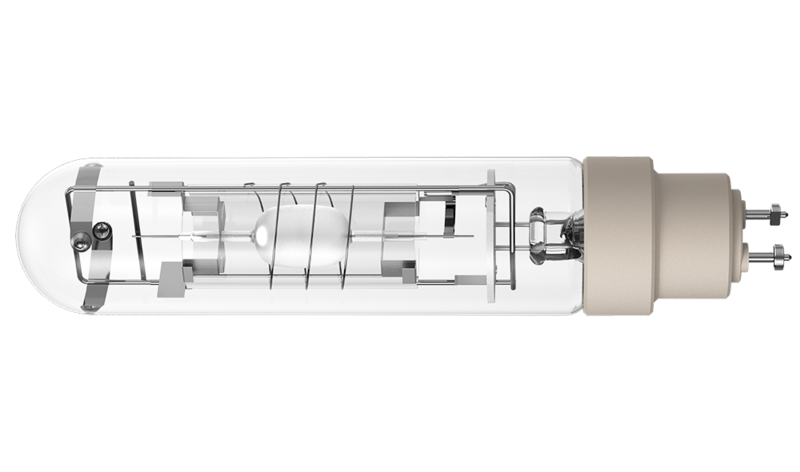 Carefully install the lamp into the socket by inserting pins into matching shaped holes in socket and turning lamp to right (clockwise). 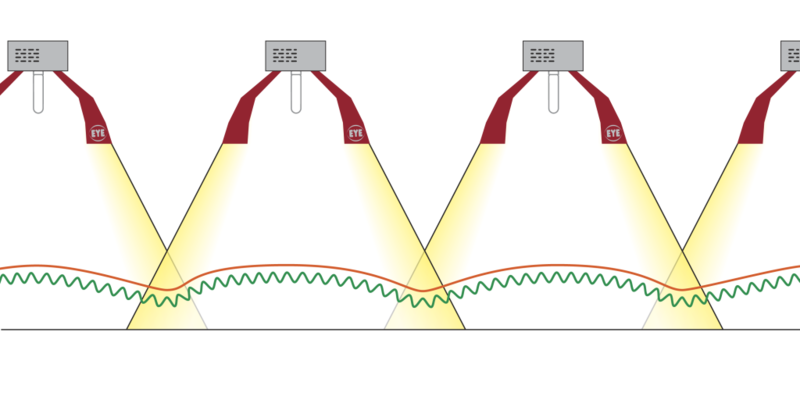 When lamp is properly installed, the base will stop turning. 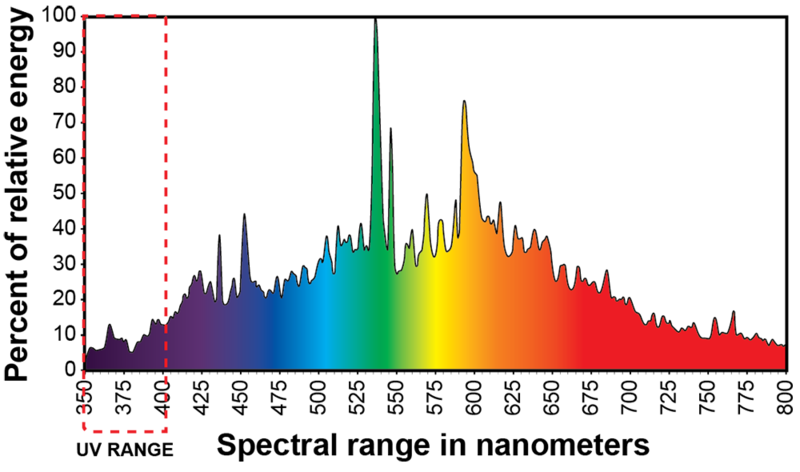 Commercial Growers: Contact us here about purchasing Hortilux products.